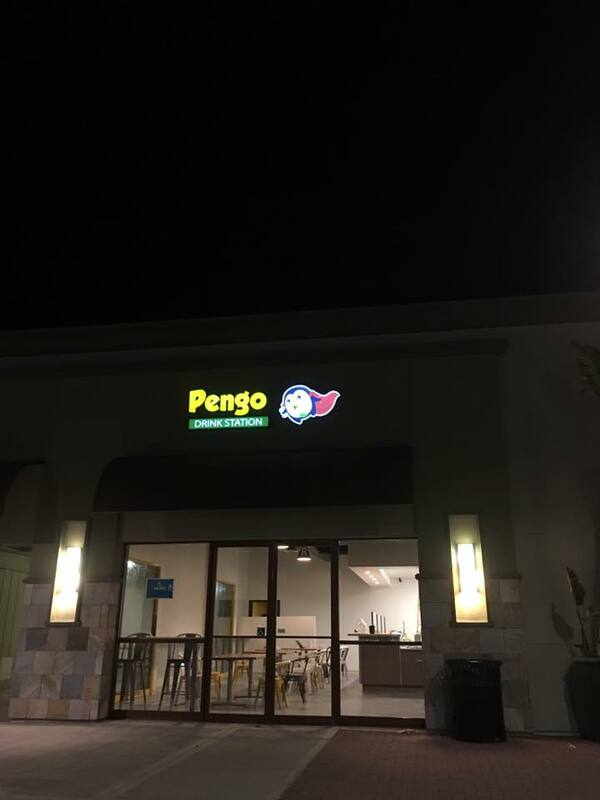 New Boba Shop Pengo Drink Station Opens in Laguna Hills with Grand Opening Deals Starting Sept. 3rd - EAT WITH HOP! I stumbled upon this on Facebook Ads. Wow, they really work! The drinks look yummy and actually I'm surprised to see a boba / tea place opening in Laguna Hills. I usually would think these sort of places open in ... well more of an Asian area such as Westminster or Garden Grove. 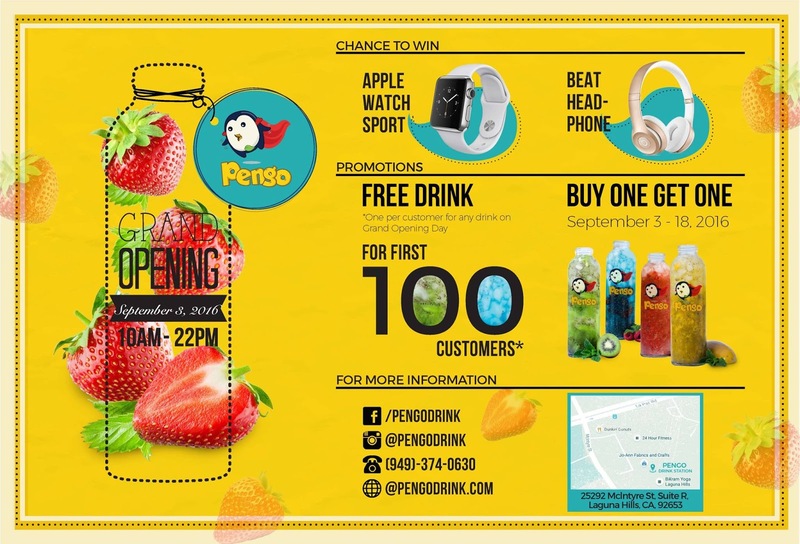 And also, since it's not in a predominantly Asian area, with very few milk tea places I'm sure, I am thinking this Pengo Drink Station place is gonna be expensive. Am I right? Not sure but we'll see! UPDATE: I finally visited Pengo! Check out the experience here. This place seems to be catching on the trend: glass bottles. The mascot is a Penguin! How super adorable! Maybe I'll go here just because of the mascot. My fave animal is the penguin after all! 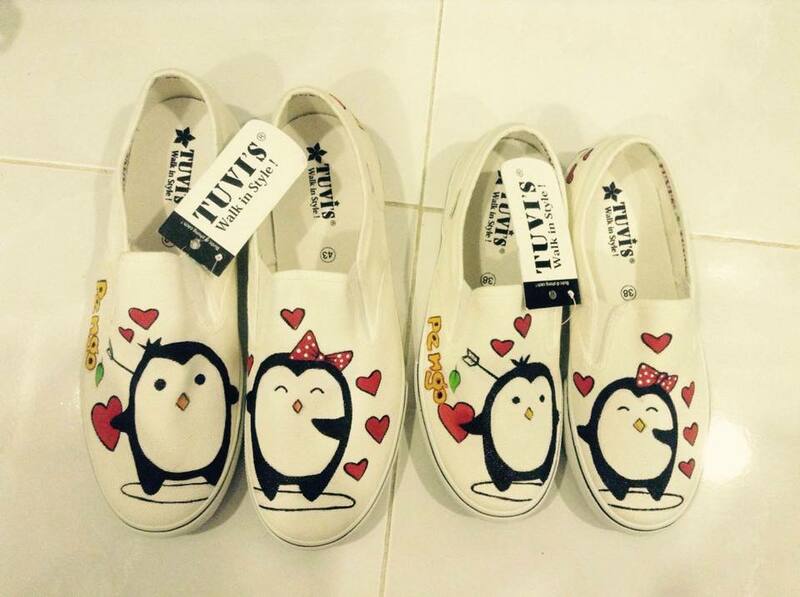 I found these cute shoes on the Pengo Drink Station Facebook. Are they selling these because I am so down to buy them. Cutest shoes ever! Grand Opening Deals and Promotions! 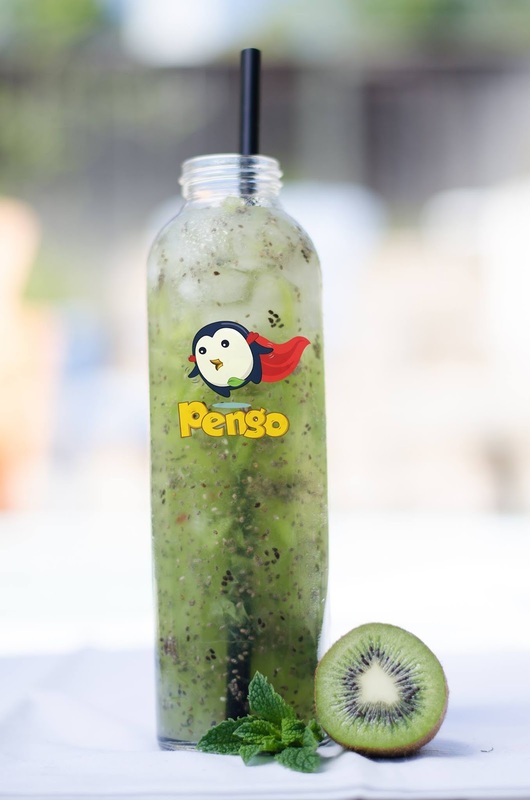 Pengo Drink Station is a new juice / tea place opening up in Laguna Hills. I've never heard of this name / brand / chain before. Is it the first one? Or am I living under a rock? *Currently in Soft Opening everyday: Everything is 50% off right now until official opening day. The Grand Opening day is September 3, 2016! First 100 customers get a free drink! You can choose any drink too! After that, they'll be running a buy 1 get 1 free promotion until September 18, 2016. They have drinks such as the usual milk tea, thai tea, jasmine milk tea, whatever. They also have "Hakaido Milk Tea" spelled differently from the usual way, "Hokkaido". Is this on purpose? New drink? Other drinks include juices and fruit teas! Prices do seem a bit expensive at $5 and up for each drink. But, rent is probably high since this is The Laguna Hills we talkin` bout. *UPDATE: I finally visited Pengo! Check out the experience here.